For years, the fitness industry’s staple workout is the steady-state cardio training, which many athletes, sports buffs and casual exercisers favor. The training worked fine for them. However, in recent years there has been a steady rise in the growth and interest in high intensity interval training or HIIT. Although the traditional fitness gym regimen is not likely to go away, HIIT is getting more popular among athletes and other fitness enthusiasts, for the immediate results it gives them. Here are more reasons why there is more focus on HIIT than traditional cardio exercises. The workouts in a steady state cardio are simple. Usually, the activity is done at a steady but manageable rate although challenge is still built into the activity. 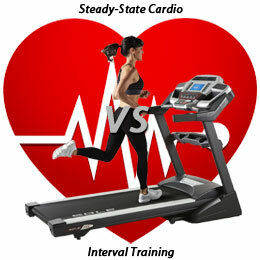 The aim is to increase the heart rate to 120 up to 150 beats per minute, with the workout lasting for 20 minutes. The workouts in HIIT on the other hand, are complex. The most typical HIIT training protocols are usually performed at 90 to 100% of the exerciser’s maximum capacity for a very short time, which can be from 8 seconds to two minutes, with a 3-minute rest period. The cycle is usually repeated for 4 or more times. When you do steady state cardio, you are doing aerobic exercises as the activities need oxygen, with the fuel sourced from fat stored in the body. HIIT is anaerobic. 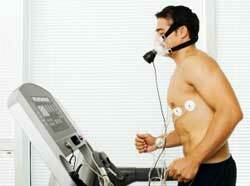 The workout is not too dependent on oxygen and the body’s stored carbohydrates provide the fuel. When doing HIIT exercises, you will be breathing harder but you will be burning more fat. The former belief is that cardiovascular fitness will improve by increasing the bulk of exercise on aerobic machine such as treadmill, cycle, elliptical or stair stepper. Traditional fitness gym training is usually termed as continuous endurance training. The depth of research on HIIT reveals that provides more effective effects on several physiological factors in less time due to continuous exercise at higher volume. Conventionally, healthy adults are recommended to have a minimum of 30 minutes of physical activity with moderate intensity. 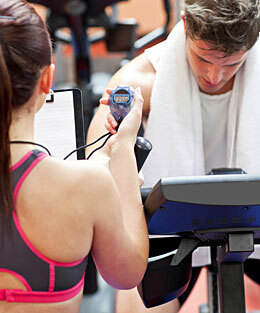 This means that the exerciser works hard to break a sweat but can still conduct a conversation. The recommendation is to do the exercise routine five times a week or alternate it with an additional 20 minutes of vigorous activity three times a week. Examples of common aerobic exercises include swimming, cross-country skiing, rowing, cycling, stair climbing, running and walking. Strength training should be included at least twice a week. This will focus on all the major muscle groups in the body, using a combination of 8 to 10 different types of exercises, with 8 to 12 repetitions for each one. It can be performed using weight machines, medicine balls, free weights, resistance bands or body weight. On the other hand, HIIT is more popular because it is flexible and can be modified depending on the person’s physical condition and fitness level. The HIIT workouts can be included in any type of exercise mode like group exercise, elliptical cross training, swimming, walking or cycling. It gives the same fitness benefits you will get from continuous endurance workouts. The difference it that you’ll gain the benefits in a shorter period because you’ll be burning more calories even post-exercise. You have a 2-hour period after the HIIT exercises wherein the body will be restoring itself to the pre-exercise stage. 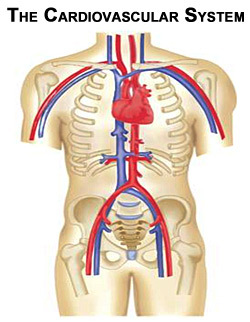 During this period, the body continues to use energy. When you do typical aerobic exercises or the continuous endurance exercises, the usual recommendation is to do the activities about five times a week, with more vigorous activities three times a week. In general, while the workout duration tends to be marginally shorter, athletic and strength gains from HIIT are parallel to gains made through longer and more time consuming exercise protocols, as evidenced in a latest research published in the Journal of Applied Physiology.This is also a great to accommodate for a perceived lack of time by novice exercisers, as HIIT workouts cut down by a fair margin, the time needed to complete a full body fitness workout. A HIIT workout, which is anaerobic, is more exhaustive and intense, therefore the recovery period is longer. For beginners, it is recommended to start with doing HIIT workout once a week. It can be combined with the continuous endurance exercises, though, then gradually increase the frequency but spread it within the entire week. Given the salient features of the two workout regimen, you can see that both have plus and minus points. The steady cardio workout is continuous. It will take longer to see results. Many people still stick to the program because it does not tax their strength too much. It is also possible to include HIIT activities within the continuous cardio workout for better results. However, many athletes and fitness enthusiasts like the challenge HIIT presents to them. They like to test their strength. They enjoy the immediate results they gain after only a short period of exercise. They are not bored with the variety of exercises, compared to the repetitive routine presented by a steady state cardio training. HIIT is popular because it’s a time saver. Most HIIT workouts last only for a few minutes, to a maximum of 30 minutes. 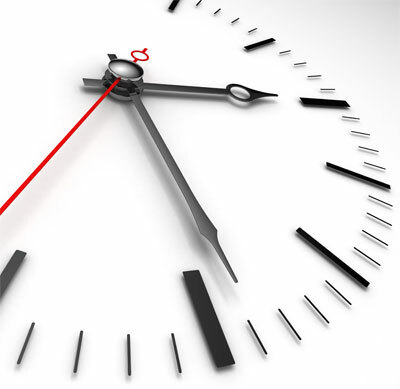 For busy people, this is a big plus because they only need to spend a few minutes to achieve the results they need. It is flexible and adaptable and can be performed anywhere, not only inside a gym. You do not need too many gym equipment and can do HIIT workouts inside or outside your home. Because of the amount of time the body takes to recover from the high intensity workout, it continues to burn fat up to 24 hours after the workout. Aside from giving your cardiovascular system a good workout, HIIT helps to maintain muscle mass, which occurs through anaerobic exercise. The main goal of any exercise program is to improve the skeletal muscle and the metabolic and cardiovascular functions of the body. The continuous aerobic exercises has shown good results over the years. But HIIT shows more improvements in a shorter period, which is one of the reasons for its popularity. However, both exercise programs are good, and combining the two will give you a very clear win-win situation.